See the annual School Magazine summary descriptions for visits and trips included for that year then click on the related magazine for the full reports. 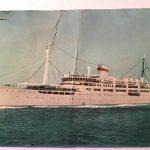 The ship, renamed Baltika in 1957 (built in 1940 as the Vyasheslav Molotov) sailed from Tilbury and visited: Copenhagen, Denmark; Riga, Latvia; Goteborg (now Gotherburg), Sweden; and Oslo, Norway. Read the 1969 school Magazine – review by M. Lock and Graham Haynes. The second 10-day Baltic Cruise, again on the Baltika. Routing: Copenhagen, Denmark; Helsinki, Finland; Leningrad, USSR (a.k.a. : Russia! ); and Stockholm, Sweden. Parents paid £47-10s (a few weeks post trip a teacher visited our homes returning an overpayment of c. £2). Others schools present included Chichester Girl’s Grammar, Costons Girls (Greenford), ? 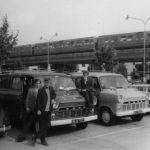 (Aveley, Kent), ? West Country girl’s school. More T.S. 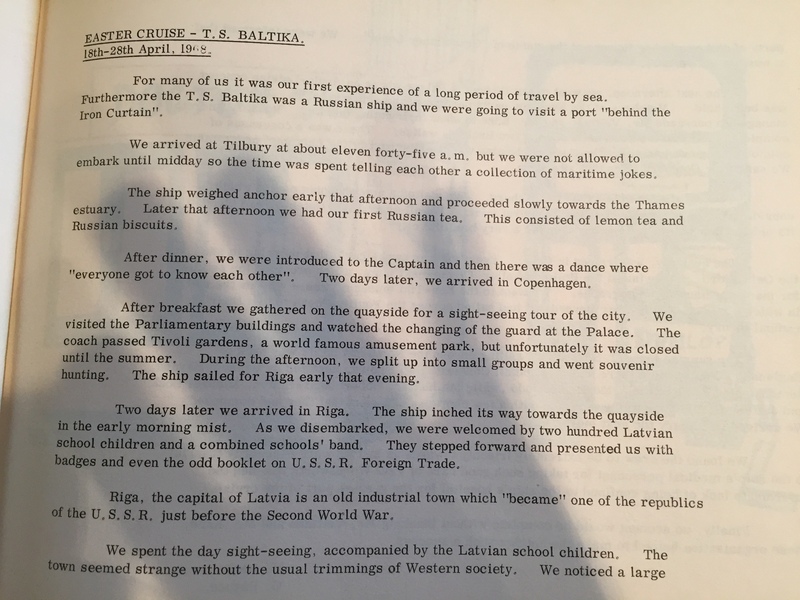 BALTIKA DETAILS & PHOTOS HERE If you’ve memories or material relating to either Baltic cruise then please contact us here. 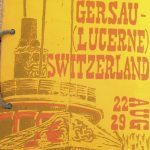 Kynaston School Swiss/Italian Trip (1963) – (more in the Kynaston photo gallery here) Kynaston Sweden Trip (Summer 1966), coming home via East & W. Germany. Norfolk Broads (1967) ind. trip with Kynaston School friends. Sweden Trip (1969) ind. trip with Kynaston School friends. Note: Links open pdf – click on images to expand.